If you have made it to Cursed, having read the first three novels in my Henning Juul series (Burned, Pierced, Scarred) you may have noticed a change in the fourth instalment in the series. I'm always looking for ways to improve as an author, and that means experimenting a whole lot. The very first draft of Burned, the first book, was written in first person perspective, but my editor wanted me to change that, so I did. They made me change a bunch of other things as well, but that's another story. Burned is written in the present tense, and the reason for that is that I just liked it when I first started writing the story. So it stuck with me until I was finished. And because I had written the first novel that way, it wrote the second and third one that way, too. I liked how close you get to the story when you're reading something that sort of takes place right then and there. That's certainly how it feels, right, when you read it? You are part of the journey somehow, you're sitting on the shoulder of the narrator, experiencing things that very second, with the characters in the story. A little side note here: After I wrote the first three Henning Juul novels, I had a bit of time before the deadline for the fourth one was due, so I decided to finish another project I had been working on for quite some time, a dark fantasy young adult thriller called The Evil Legacy. That one I wrote in the first person present tense, and I had so much fun going back to that kind of narrative, so when the time came to go back to Cursed, I felt like having some more fun, to experiment some more. Besides, I had four novels under my belt. I knew a bit more about storytelling at that point. So I decided to change again. To the third person past tense perspective this time. Again, I was trying to improve, to push myself, and that meant getting out of my comfort zone. It took me a while to get used to that way of telling a story, but I found the exercise helpful and rewarding in the sense that I felt more like a storyteller doing it that way, with the bird's eye view on everything. I'm in complete control, and you, as a reader, just have to go along for the ride and let me guide you through the story. I disclose to you just the details I want you to know at that particular point in the story. Writers usually stick to the way they're most comfortable with, which is perfectly fine, of course. But isn't it funny how some readers just can't read a story that's told in the present tense, while others absolutely adore it? I actually had one editor assigned to me who was so opposed to stories told in the first tense that he couldn't bring himself to work with me in the end. What it comes down to, I guess, is just taste. There are no "best ways" to write, or "best ways" to read, we just pick and choose what we like the most. I like all kinds. I'm in love with stories, whether they are told in the first or the third person, whether they are told in the past or the present tense, whether they feature a male or a female protagonist, whether it's set in Oslo or Orlando, or if it's raining or scorching hot, as long as the narrative makes me feel something, and think. That's most the important thing. To me. What are your preferences, and why? Would love to hear your thoughts. Thomas Enger (b. 1973) is a former journalist. He made his debut with the crime novel Burned in 2010, which became an international sensation before publication. Burned is the first in a series of 5 books about the journalist Henning Juul, which delves into the depths of Oslo's underbelly, skewering the corridors of dirty politics and nailing the fast-moving world of 24-hour news. Rights to the series have been sold to 26 countries to date. 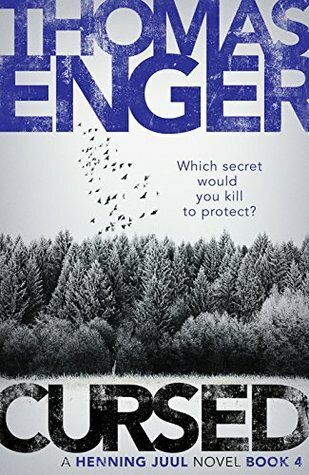 In 2013 Enger published his first book for young adults, a dark fantasy thriller called The Evil Legacy, for which he won the U-prize (best book Young Adult). Enger also composes music and he lives in Oslo.